Salt harvested from the Himalayan Mountains is unlike any other salt, unique in both its majestic beauty and in the benefits it provides. If you add pure and natural Himalayan salts to your bath you will notice the difference immediately. When mixed with water, these salts create an environment that mimics the most ancient seas on Earth, bringing the magic of the Himalayas right into your own home. Soaking in a Himalayan salt bath allows the 84+ minerals and nutrients from the salt to be delivered to your cells in the form of “ions”, making it easier for your body to absorb and utilize them. 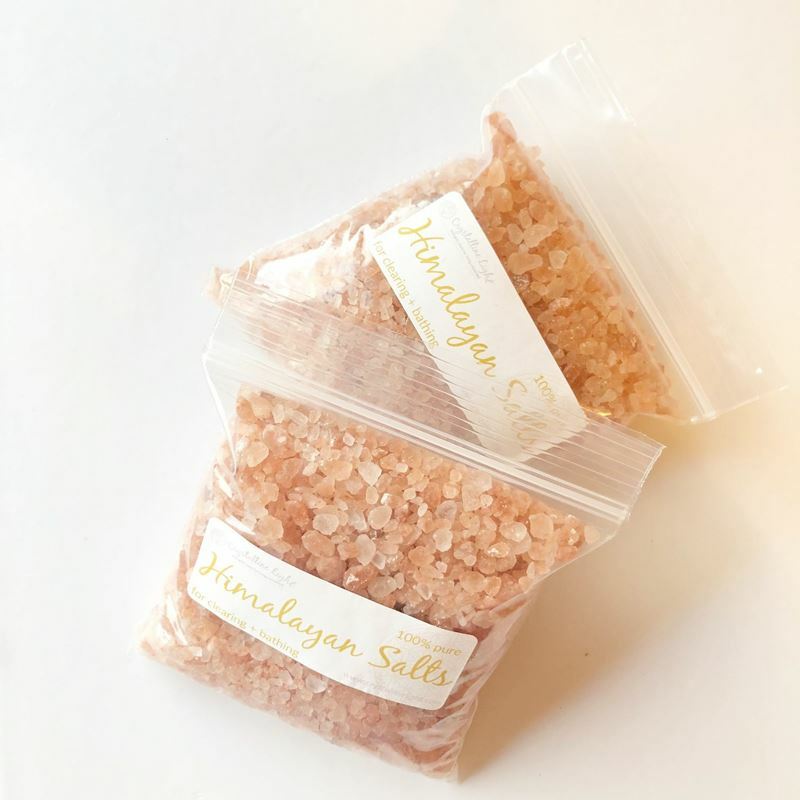 Himalayan bath salts can improve the texture, tone and appearance of your skin, combat water retention, promote sinus health, prevent muscle cramping and soreness, regulate sleep, and even decrease stress. They are great for raising your vibration as they clear out any unneeded toxins and energies! I personally use them weekly and do not use any other bath salts to maintain clear energy (and skin!). 8 ounce package; good for at least 2 baths (or more). Note they do take a little longer to dissolve in a tub, so use the hottest water possible and have patience.